Welcome to the Financial Close Blog for MindStream Analytics! The purpose of this weekly blog is to increase awareness of the environment, trends, products, and solutions pertinent to the Financial Close spectrum. The blog will touch on multiple functional and technical areas around Financial Consolidation, Financial and Management Reporting, Account Reconciliation, Close Management and Workflow, and much more across industry/vendor specific and industry/vendor agnostic. We hope that this will give you food for thought, as well as some Best Practices and the peak of your interest. Let us know what more you would like to see! 1. Reporting MUST meet the needs of Executive / Senior Management. Most Financial Transformation solutions are developed to more efficiently gather, format and ultimately present unstructured or structured data into actionable and reportable data. In the end, all of us can have various methods of reporting, but for C-Level Executives and the Board of Directors, critical business decisions are typically made based on the numbers they have in front of them. If they aren't presented in a clear, concise, accurate, and also comprehensive manner, poor decisions can be made, leading to the detriment of the business operations. 2. How much time does it take to run your reports? Numbers often (but not all the time), tell the story in business, and companies require and use reports every day for financial, operational, short-term/strategic planning, compliance, and other internal purposes, as well as for required External reporting and presentation to clients/customers. Many reports can have formats that are used time and time again but must be updated periodically to incorporate new data as periods change, or as required to support various levels of granularity, etc. Time is spent not only on pulling this updated data together but on formatting, reports to be presentable to stakeholders such as CFO's and clients. During a typical Financial Close process, which can take anywhere from a few days to a few weeks every month, many businesses still rely on tools such as Microsoft Excel, which although very flexible, can be very manually intensive and are prone to errors or overrides. A substantial amount of the time during the close process, especially during quarter and year-end periods, can be spent just getting the reports in order, which can include commentary, footnotes, graphics, and continuous updating of the data as journal adjustments are made to the data sources such as the General Ledger, ERP modules, and ancillary sources. As it is often said, there is very little time to analyze the data needed to make key business decisions. Management ends up being reactive rather than proactive. Companies also struggle with the size and shape of their reporting inventory. Often, many analysts, accountants, Finance directors, etc., have their own "flavor" of reports that they are comfortable with. Again, data is often pushed into Excel via manual updates or pulled in from flat file exports. They aren't directly integrated with the source system(s). In the end, all of this data must be condensed into a reportable format for both Executive Management and for Public (External) Reporting. The reports aren't centralized. There is little to no workflow. There is no instant availability of the output once data is processed in the system. On the other hand, the Finance, Accounting, and Operational teams have different requirements than the Senior Executives and the SEC have. They need to have access to the transactional side as well as the computed balances. They need to make sure everything reconciles, foots across and down and incorporate the adjustments as made. They need to look at consolidating detail as much as the consolidated detail. They need to be able to explain this to the Controller, VP of Finance, and the CFO. Reporting at this level needs to be more flexible and sometimes more ad-hoc to quickly gather information into pivot tables and filters. In our opinion as Performance Management Consultants, the key to effective and efficient reporting is to centralize the most repeatable, critical, time-sensitive reporting processes while providing more flexible, ad-hoc capabilities to the analysts and Finance teams. It may seem difficult to achieve with the many sources of data, but there are many solutions out there that provide interactive reporting capabilities. Imagine what you could do if you had that time back. Many businesses are trying very hard to find a solution that will easily quickly consolidate data from multiple sources, provide integrated and near-instant reporting capabilities, resulting in a significant reduction in the close cycle. Of course, a system such as an Enterprise Performance Management (EPM) system can only work if the data going into is timely and accurate as well, but in many cases, the out-of-the-box functionality that these modules provide will significantly streamline the process of centralizing the production and distribution of your critical, repeatable, and accurate Financial Reporting. One such solution that has been around for many years, but in many cases is still not taken advantage of, is Financial Reporting (FR) Studio on the Oracle/Hyperion Cloud and on-premise platform. FR Studio is a powerful tool for designing reports for presenting financial, operational, planning, and analytic data. It allows you to design highly dynamic reports that pull data directly from your application (Planning, HFM, PBCS, FCCS, etc. ), allowing you to be confident in the data presented. You can have new data for a different point of view in a matter of seconds. 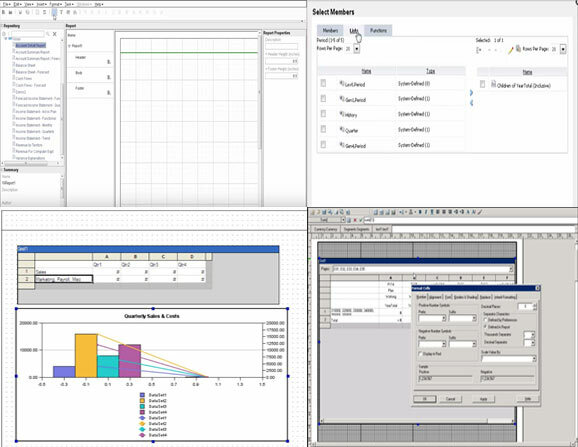 While, yes, additional flexibility can be done in tools such as Excel (specifically with an ad hoc retrieve in Hyperion's Smart View Excel add-in), there are great benefits to using FR Studio. First, FR Studio will save you time on formatting. Since the report format only has to be set up once, which can be used across many dimensional points-of-view, an immeasurable amount of time will be saved going forward in that regard. Furthermore, using suppression, reports such as rolling forecasts can be set up to show different scenarios for each period depending on what is selected as the current period. Expansions can be configured in the reports to allow for fast condensing or expanding of the hierarchies displayed, such as the Income Statement and Balance Sheet accounts, to provide multiple layers of reporting in one template. FR Studio also provides great graphical capabilities that are often not used enough in our opinion. 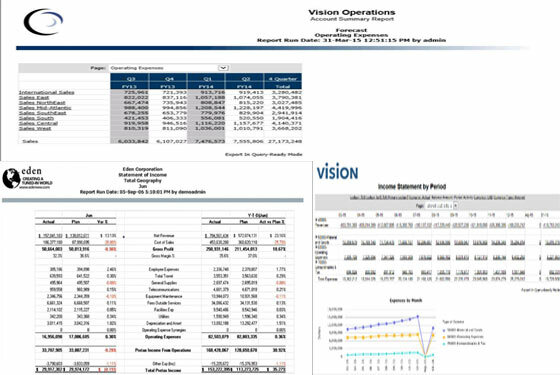 Financial Reporting Studio has very flexible reporting output options as well, including web-based viewing, which provides drill-back and expansion capabilities if properly configured, PDF output for Board Reports and more static presentation views, and Excel-based output for the flexibility of the ad-hoc reporting. Overall, using Financial Reporting Studio streamlines and maximizes your reporting efficiency at all levels of the organization. Whether you use this product or other dynamic solutions out in the market, it is worth the investment, at the fraction of the cost of an ERP implementation, to provide this crucial element to the Financial Close process. We will comment on various reporting capabilities in upcoming blog entries. For information on how to use FR Studio, please look for our upcoming YouTube series "Getting Acquainted with Financial Reporting Studio". 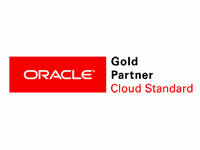 Want to know more about Oracle Financial Reporting? Please complete the form below and we'll get back to you shortly.